Is this the HTC U 11 complete with Edge Sense tech? The next flagship smartphone from HTC, dubbed HTC U 11, has leaked here and there already but now a really comprehensive 3D video of the handset has surfaced. 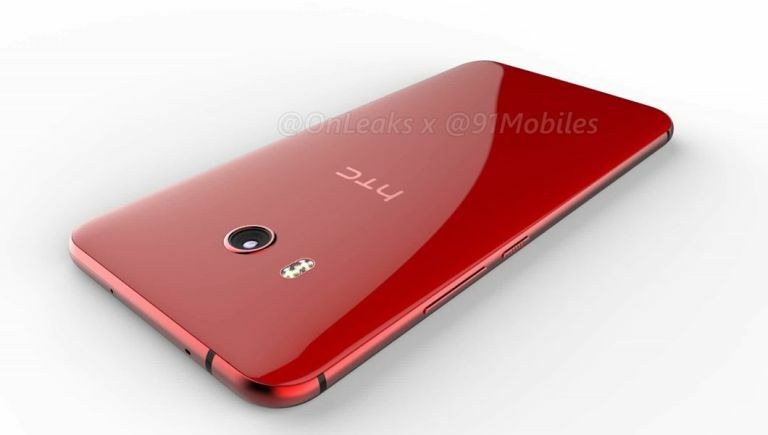 The full 3D render of the HTC U 11 has appeared on 91 Mobiles via Onleaks, a reliable source in the past. The HTC U 11 is expected to get officially unveiled at an event on 16 May. The only real official tease has been for a squeeze feature, dubbed Edge Sense, which allegedly is a way of interacting with the phone using pressure on the sides. Despite this funky addition the phone appears to look pretty normal. The HTC U 11 should have a near bezel-free display with a 5.5-inch panel sporing QHD resolution and Gorilla Glass covering. Under that should be a Qualcomm Snapdragon 835 CPU powering the handset with up to 6GB of RAM, 64GB storage and microSD expansion. The cameras on the HTC U 11 are expected to be a 12MP f/1.7 UltraPixel shooter on the rear with a hefty 16MP selfie snapper on the front. Also rumoured is dual-SIM, 4G, 3,000mAh battery, Bluetooth 5.0, hi-res audio with active noise cancellation plus the Android 7.1.1 Nougat OS. Expect to hear more on the handset ahead of that 16 May reveal.